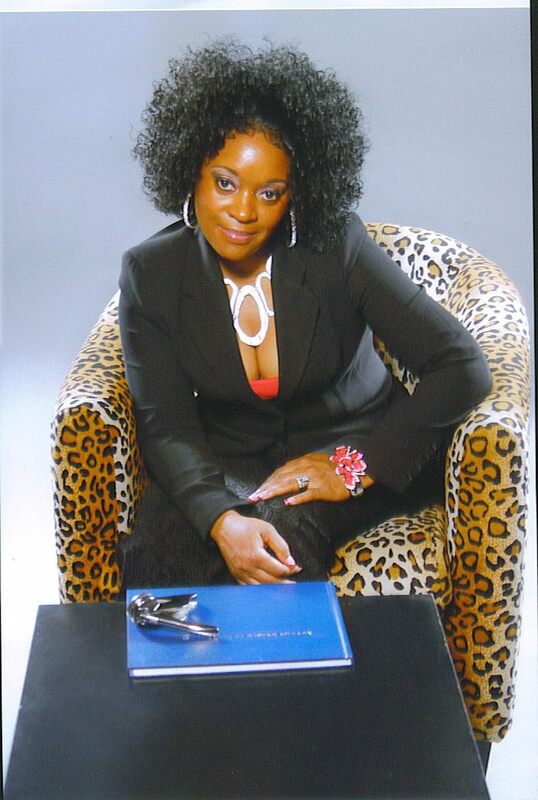 Kim French is a Notary Signing Agent and a Successful Network Marketer who was born and raised in Philadelphia, Pa. and grew up in the Logan section. She was created to be an Entrepreneur, but she didn’t know it then but through her journey she realized it. At the young age of 13, she began her first Entrepreneur business by making and selling candy apples on the block of North 10th Street where she lived. The feeling of independence was rewarding . She also had a paper route delivering The Daily News after school. It was at that point that she knew she wanted to be her own boss and make her own choices. She did enter into corporate America at the age of 14 by landing her very first summer job. At the age of 17 she had a life changing experience; she gave birth to her oldest son. It was a joy being a mother, but it slowed down her path. She was side tracked and didn’t finish school, but later received her diploma through night school. Being a young mother, she realized how important it was to get back on track. At the age of 21 she received a certificate from Watterson School of Business and Technology and landed a job with The Board of Education. She worked as a Liberian in Cooke Junior High School which was exciting because that was where she attended school from grades 7-9. While still indulging in the Entrepreneurial world, she sold Avon products. She had various jobs after that and then in 1997 she received a certificate in Secretarial Science from CITE Business School and landed a job with the City of Philadelphia. However, in 2006, Kim decided to follow God’s plan for her life. So she stepped out on faith and quit her job. Soon after she started French Mobile Notary Services. One of her mentors is the late Jim Rohn. She studies his words and live by them daily and always educates herself in the business world. We interviewed Kim for the women’s entrepreneur edition of www.shalenadiva.com and here are her responses on life and her business The French Mobile Notary Services. State a quote that you live by and tell us why. If you keep doing what you been doing then you’ll keep getting what you been getting. I live by this quote because it states exactly what it is if you want different you have to do different. If you want to be successful you have to do what successful people do. French Notary is a company that freelances to title and mortgage companies closing on loans in the comfort of individuals homes. 2011 French Notary trains and hires other Notaries for a Notary Signing Agent Career. As an Independent Agent with National Motor Club of America, I have put that company under the umbrella of French Notary. Location-French Mobile Notary is independently owned, we are a work at home company with goals of creating Entrepreneurs. Location: 5646 N 5th Street, Philadelphia Pa 19120, 215-874-0572, www.frenchmobilenotary.com. I believe I was motivated to open my own business the day I was born , I like to say this the word employee is no longer in my vocabulary. In 2006 when I realized I was un-employable I looked procrastination in the face and I said get lost. My biggest motivation at that time was bosses, telling me when to eat, when to come and go, that didn’t sit well with me so my motivation was for me to be in charge of me. I knew I would fail somewhat that’s what mistakes are for to learn from but as long as I knew I would fail forward I was O.K. I had help with my concept, I ran into a childhood friend Rochelle Bentley about 2 months after quitting my job still not knowing what I was going to do. She begin explain to me what she was doing which was a Notary Signing Agent I was intrigued so we met the next day she showed me what then business was about took me under her wing and taught me everything she knew. I worked with her a few months and then decided to go out on my own that’s when French Mobile Notary was born. How much Capital did you need to get started? The beauty of having a Notary Signing agent business is it doesn’t take much capital most of what was needed I already had. Computer, printers, fax machine office supplies. Etc. Face book has been very instrumental in growing my network marketing business National Motor Club as well as referrals when you provide a service and it’s a good service referrals are a big part of running the business. As far as the Notary business I market on line to title and mortgage companies and word of mouth. French Notary contracts other Notaries for assignments. I give them the tools and resources to be successful. What are some of the day to day struggles as a business owner? Time management and staying organized. Managing my own life and schedule and servicing my clients to the point where they will refer me to others. How do you balance work life and family? Do your work demands affect relationships? When I was home based I had to first discipline my family to let me work during work hours and then I had to discipline myself. The constant marketing has to take precedence to keep my business running. As far as family my children are grown and I have a very supportive husband which is a blessing. I follow the 3 major rules Faith Family Finance. Start off right so it can end right. Hire an accountant, get your business license, EIN number, business bank account, and copy the right cat. If you are interested in being a Notary Signing Agent I have a book that I call a Notaries Bible. If you’re interested in being a Rep with National Motor Club I advise you to be coachable and follow the leader.